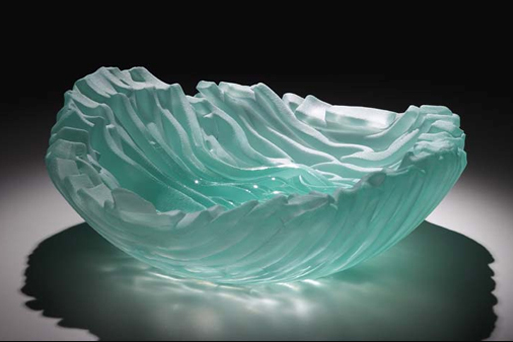 Working with recycled plate glass, kilns, and sandblaster, he creates one-of-a-kind glass sculptures. Hand-cut from flat sheets of glass, each creation is carefully assembled, then fired in an electric kiln. After firing, the fused glass forms are then carved and etched to completion. Within each form, Tonder employs internal lines, altered surface textures, and light reflection, refraction, and diffusion to create tension, stimulate curiosity, and engage the eye. His art reflects the many influences of his experience as a forester and park manager, and excursions into Minnesota’s Boundary Waters and Ontario’s Quetico Provincial Park.